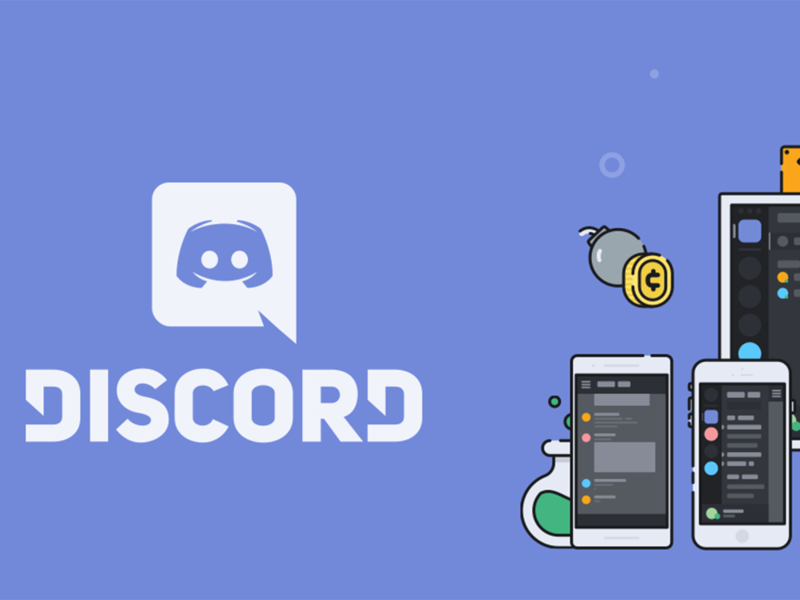 You may not have heard of it yet, but Discord is a very popular voice and text chat platform, with over 130 million registered users after only three years on the market. Like Skype, it has its roots in gaming. It’s also finding use among businesses and marketers seeking to engage with customers where they are. Adding to that, it’s helping various businesses build their brand using their Discord community so that they can grow. Social media is often cited as the preferred avenue to reach online customers, but messaging apps like Discord have 20 percent more monthly active users than social media. Discord is free, secure, and has apps for both desktop and mobile operating systems. Both private and public servers are able to be created, and there’s no limit in how many servers you can run. Moreover, many startups are quickly learning Discord can replace Slack, Skype, and other business collaboration tools. It uses fewer system resources than Slack or Skype (check out the screenshot below), and the customer service is stellar. The dev team is easy to reach. The company’s own marketing model focuses on listening to the needs of its community. Internal communication is just one of many uses for your business. What we’re focusing on today is how to build a community on Discord. It’s an ideal platform to engage with your customers, and Discord marketing is like the new social media marketing. If you want to learn how to market on Discord, then this guide is for you. Let’s start. One of the best features of Discord is you can control who is in your group, much like a Facebook Group. However, Discord offers even more customization of how to label members than Facebook. Roles can be assigned to every member, and access to different channels within your server can be granted or denied based on roles (more on this in the next section). Group members can be added through personal invites sent via text/email or through clickable links on your website and social media pages. How you decide to control the group is up to you, as is who you invite. Discord is a much more private setting than platforms like Twitter, so you can target messages to different groups however you want. Unlike groups on Facebook, Telegram, and other social media platforms, you’re not limited to just one Discord group within your server. Several text and voice channels can be set up, and you control access using assigned roles (which you can see on the right side of the screenshot above). Owners, admins, moderators, and members will all have different access levels to different chat groups. This lets you plan with the team on one channel while engaging with customers on another. Refining even further, you can create special groups for highly active members or even niche channels for different departments, i.e., a technical support group and one for Discord marketing. These tiers and member levels make organizing and communicating across multiple channels seamlessly. It’s the foundation of how to build a community on Discord. If you’re unsure how to market on Discord, follow a cryptocurrency like Vertcoin. Because major tech giants like Facebook and Twitter ban ICO ads, crypto companies pioneered many alternative social channels like Telegram and Discord. The sector turned that ban into an advantage and already have a head start on Discord marketing. They’re great examples of how to build a community on Discord. Users are vetted and rewarded with inside information about upcoming events and real-time progress reports. They also get rewards like other exclusive offers including airdrops and token sales. It’s important to understand Discord users will be smart consumers. Don’t waste their time with the type of half-baked marketing schemes that litter social channels like Facebook and Twitter. Discord marketing means to give community members real value. One way to build an engaged community on Discord is to provide exclusive sales only to community members. 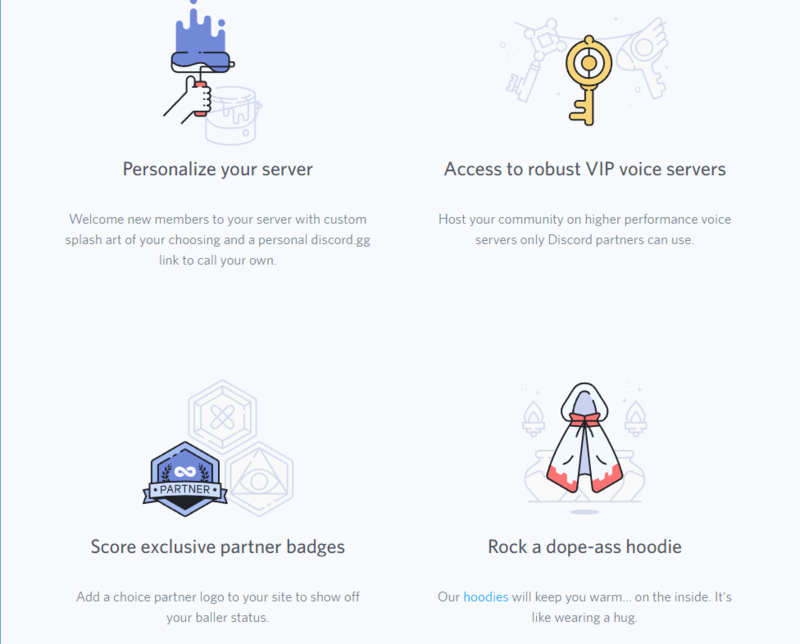 Even Discord does this with its partner program. There’s no better lead to follow on how to market and capitalize on the Discord community than from the company itself. Try announcing the launch of your new Discord channel by giving away prizes or special discounts to the first 1000 members. This is a great way to spark interest and create an active community from the ground up. According to Social Media Today, 67 percent of consumers now use social media platforms to seek resolution for issues, and these customers spend 20-40 percent more with companies that engage with them on these platforms. Discord is a much better platform for providing customer service because you can easily have private conversations with members. Simply click the member’s name, and send messages directly to him or her. Using Discord to resolve customer issues fosters a community environment that will keep bringing customers back. It’s one of the most effective ways to engage with current or prospective customers. If you already built a brand, there’s a good chance your brand advocates already built a Discord community around it. Many popular brands have fandoms, and these fandoms create groups outside of official channels. Involving yourself with these fan-made groups can really increase your cool factor, especially with younger generations. Brands that don’t already have fan-made groups should get started on building a new community from scratch. Don’t be afraid to fake it till you make it, either. Reddit is one of the most popular online forums today, but when it started, the founders used tons of fake accounts to simulate engagement and ensure newcomers didn’t enter a ghost town. You only have one chance to make a good first impression, so don’t waste it. With these pieces in place, you’ll be well on your way to building a thriving Discord community that your team can engage with.